Might Help Reduce Pain & Improve Quality of Life. Helps overcome body insecurity. Body image and/or eating disorders​​. New studies and research are constantly being undertaken at prestigious institutes and universities. Only now is western science catching-up with the benefits that yoga and meditation offer, which anecdotally far outweighs the list above. 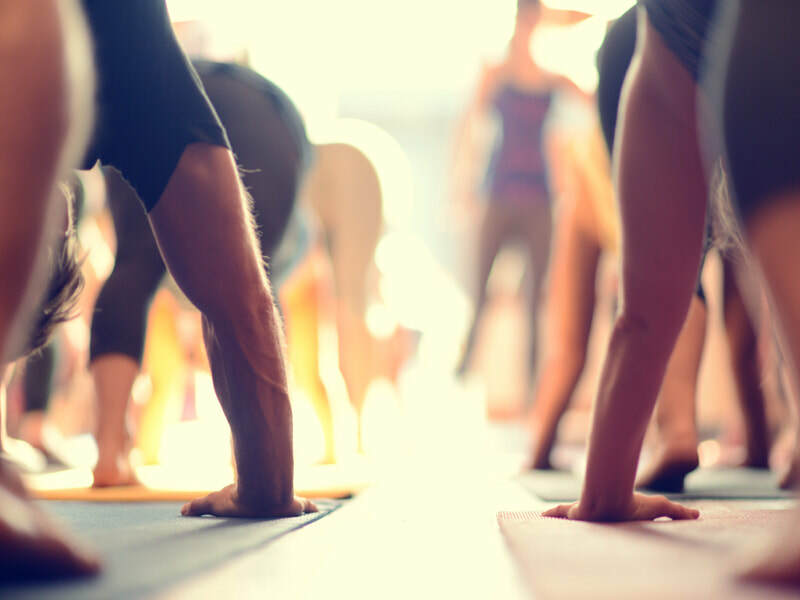 Yoga has become more mainstream in recent years as people have come to appreciate the importance of self-care as a way to create balance in often frenetic lives. There are many different kinds of yoga, the choice can seem overwhelming for a beginner. Our style is Hatha with some Vinyasa. What does that mean? During a One Creative Choice yoga class we will typical start with a brief relaxation to allow us all to become fully present; the asana (physical postures) part of class will be a mixture of held and flowing postures, sometimes we use music; breath is a key element of this practice and you will be given cues to return to your breath and perhaps even some specific pranayama (breathing exercises). We conclude with savasana, the delicious, deep relaxation period where we let go and allow our body to absorb our practice, recover and rest. There are always modifications that can be made to poses to intensify or make them more accessible. YOGA IS FOR EVERYBODY. EVERY BODY. If you are a graduate of Beginners' Yoga Module 1, Module 2, or have some yoga experience please join Sally for this new group class on Monday evenings, 8-9:30pm at St Stephen's, Crown. Term 1 starts January 14th and Term 2 February 25th. Full details & booking for TERM 1 HERE. Full details & booking for TERM 2 HERE. Beginners Module 1 & 2 each last four weeks and give students a strong foundation to their practice and equips them with the tools to cultivate a home practice or to feel more confident in a group setting. Sally is dedicated to supporting people in starting a yoga practice – because yoga is for everybody. Every. Body. We are collating a list of interested students. 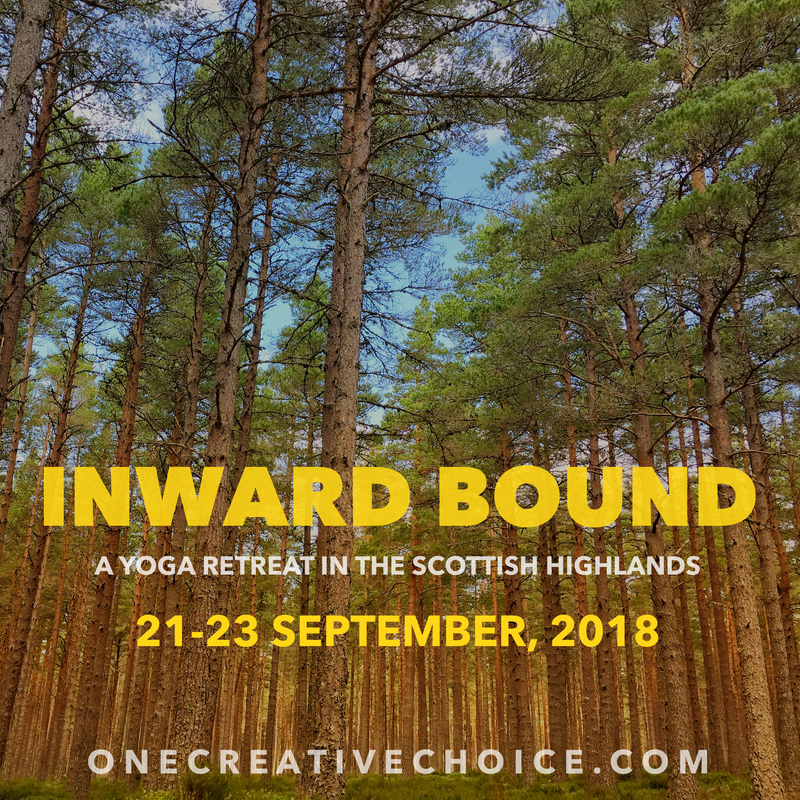 If you or someone you know is interested in a beginners class please email (sally@onecreativechoice.com) to be added to the list and notified when the next suitable class will begin. January 19th, February 23rd & March 9th, 2019. Inverness. Join us for one, two or all three workshops. ​Early-bird and series pass discounts available. With the hustle and glitz of the holiday season behind us the winter months of the New Year provide an ideal time for introspection, nurturing and planning. 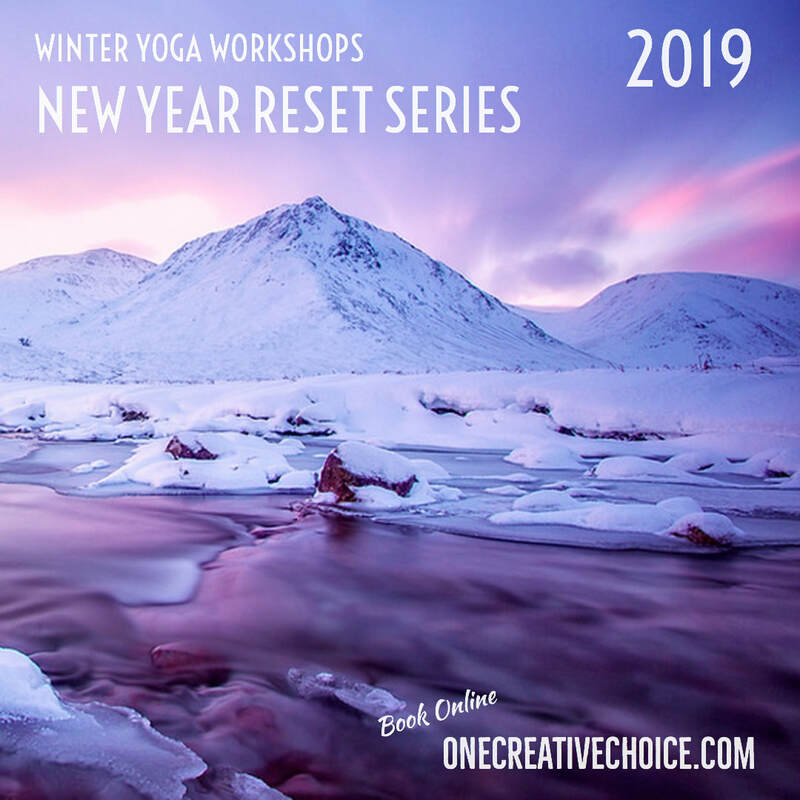 Rob Locke (Kite Dearg Yoga) and Sally McRae (One Creative Choice) come together to offer a trio of workshops in Inverness starting in January. ​Sally loves to teach beginners and finds joy in their growth. There is always humour in her teaching; her gentle encouragement allows students to soften and witness; to reflect not just upon the yoga on the mat but how it shows up for us all in the world. She first encountered yoga as a pre-teen at an ashram in the UK. In adulthood yoga was to form part of her warm-up routine before rehearsals and performances, when entering the corporate world it provided essential grounding. Whilst living in the USA she seized the opportunity to immerse herself fully and train with Graham Fowler; she subsequently went on to mentor students as they undertook their extensive training. beginners, intermediate and advanced students welcomed. ​Yoga is a wonderful gift, not just for the yogi but also for those close to them – the benefits are shared! Gift cards are currently available for one or multiple private classes. ​Contact Sally if you'd like more information or buy online now. We are currently running an introductory offer for new clients – five private classes for the price of four, a saving of £40. If you are interested in this offer and would like more information please email Sally or you can buy online now.